The growth story of Indian agriculture since the days of food scarcity (in the mid-1960s) to the present satisfactory production level of food grains has been very impressive. In these efforts, land degradation and environmental challenges have however emerged to thwart sustainability of agri-food systems. The frequent occurrences of natural disasters like food, drought, storms, hails, cyclones have led to severe hardship and farm distress. Feeding a growing population and ensuring food and nutritional security in future thus becomes a daunting challenge in a changing climate. It is in this context, suitable policy actions with scientific interventions become imperative for Indian agriculture to adapt and mitigate climate change impacts. 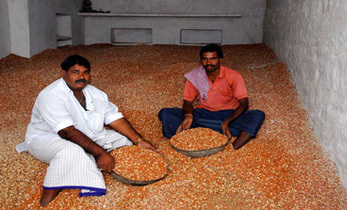 It is estimated that the requirement of annual food grains would be to the level of 450 million metric tonnes (MMT) against the current production of 240-275 MT during 2011-12 to 2016-17 for a burgeoning Indian population that may reach 1.65 billion in 2050. Studies by Aggarwal and Sinha way back in 1993 have predicted the trend that there could be an agricultural decline with climate change, which have been subsequently confirmed by other research evidences from Mall and Aggarwal (2002) and Pathak et al (2014 ; 2015). Studies carried out at the Indian Agricultural Research Institute (IARI), New Delhi have indicated the possibility of a loss of 4 to 5 MMT in wheat production with every rise of 1 degree centigrade temperature (Aggarwal, 2003). This study has assumed that irrigation would be made available at present level, which of course may not be a possibility considering the receding Himalayan glaciers and increased demand of water from other sectors. The quality of food grains is also significantly affected by temperature in many crops, which could in turn have great impact on the nutritional security aspects in a developing country like India. Research has indeed shown that the decline in grain protein content in cereals could partly be related to increased carbon di-oxide concentrations and temperature. There are also reports of quality of Basmati rice being adversely impacted due to temperature increase beyond the optimum level. Pest and disease incidences in any crop are functions of ambient temperature and humidity. 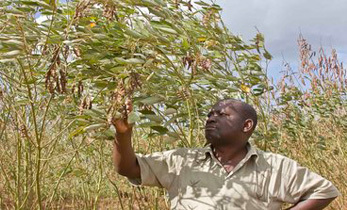 Crop -pest/ disease interactions will therefore change significantly in an era of climate change. 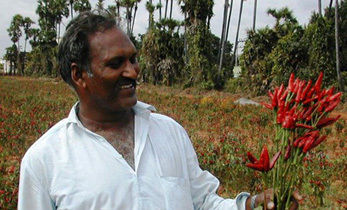 Nagarajan and Joshi long back in 1978 had discovered different levels of rust virulence which was due to temperature – dependent movement of spores from South to North India. The yield in temperate crops like apple has been seen to be directly related to climatic extremes. Average productivity of apples in the traditional Kullu and Shimla regions of Himachal Pradesh has often been attributed to inadequate chilling in recent decades, crucial for good apple yields. This author (as a part of his Masters Dissertation) attempted to analyze the weather data for Odisha State to find out the trend, if any on the climate variables and also to see correlation with the production of major crops. Analysis of the weather data, mainly rainfall (precipitation) figures for all Districts since 1901 and temperature data since 1931 (till 2010) was made. Crop production data (for the wet, Kharif season) for past one and half decades (period of pronounced climate change impacts) was taken for correlation and regression analysis of seasonal weather variables. These analyses presented interesting results. It established that monsoon onset is getting delayed (than the normal date of onset) in the recent years that may adversely affect cropping system of the state. Mean annual precipitation (rainfall) and mean number of rainy days showed a decreasing trend over last one century (since 1901). This would obviously disturb crop choice and crop planning. Although total amount of rainfall in a year has decreased over the years, occurrence of very heavy rainfall events in the state has increased in the recent period (last 15-20 years). Similarly, the mean annual maximum temperature showed an increasing trend in the analysis period with a decrease in the mean annual minimum temperature. All these results call for effective planning and research, as temperature regimes greatly influence the growth pattern and productivity of rice and many other crops. Similar studies have since been carried out by researchers in other parts of the country (and very well documented by Pathak (2015) in his paper published by Indian National Science Academy. All these scientific evidences establish the fact that extreme weather events are becoming very common in the entire country and necessitate policy makers at all levels, Union, States and the Local self-Governments, to frame and implement suitable strategies to arrest the trend. India has been doing a balancing act between growth and sustainability in its climate change policies and leading the third world countries to place agriculture in the ongoing negotiations. The National Mission on Sustainable Agriculture as a part of NAPCC (National Action Plan on Climate Change) since last one decade has focused to make Indian agriculture sustainable in light of likely risks arising from climate variability. The ICAR (Indian Council of Agricultural Research) has initiated the National Innovations on Climate Resilient Agriculture (NICRA) network project since 2011 to enhance resilience of Indian Agriculture to climate vulnerability through strategic research and technology demonstration. Similarly, CGIAR (Consultative Group on International Agricultural Research) Program on Climate Change, Agriculture and Food Security (CCAFS) is also promoting adaptable and resilient agriculture and food systems in many countries including India. 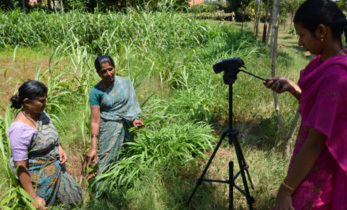 ICRISAT (International Crops Research Institute for the Semi-Arid Tropics), the only CGIAR institute headquartered in India has also developed a pool of climate-smart technologies. 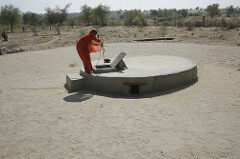 Few such approaches highlighted by ICRISAT for building climate smart villages include: watershed management approach (improving rural livelihoods by rehabilitating natural ecosystems); futuristic multi-model approach (Customizing adaptation packages to enhance climate resilience); digital technologies approach (by integrating climate information and eco-conservation technologies); met advisory and farm systems approach (building resilience agro-ecosystems by using climate information); and the climate and crop-modelling approach (cropping advisories based on seasonal forecasts). 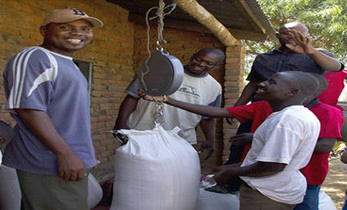 Addressing food security and climate challenges in a “business-as-usual” approach will make the tasks more difficult. Therefore, it’s high time that rationale of climate-smart agriculture (CSA) be appreciated by decision makers at all levels. There should be structured trainings to build capacity of officials of relevant Departments to sensitize them to understand diverse impacts of global climate change even at local levels. Similarly, defined institutional architecture has to be built into the Government system to sustain focus and integrate activities into ongoing schemes and programs aligned to sustainable agriculture practices. The hardest political problem in climate change policy framework comes from the least appreciation of a changing climate at the level of local self-governments. Till the day a village Sarpanch at the cutting-edge level is sensitized to tune the development strategies of a Gram Panchayat for adapting agriculture to climate variability, any efforts at higher levels of Governance may not bear fruits. The institution of a Panchayat in Indian context has the capacity to leverage funds from a plethora of schemes. 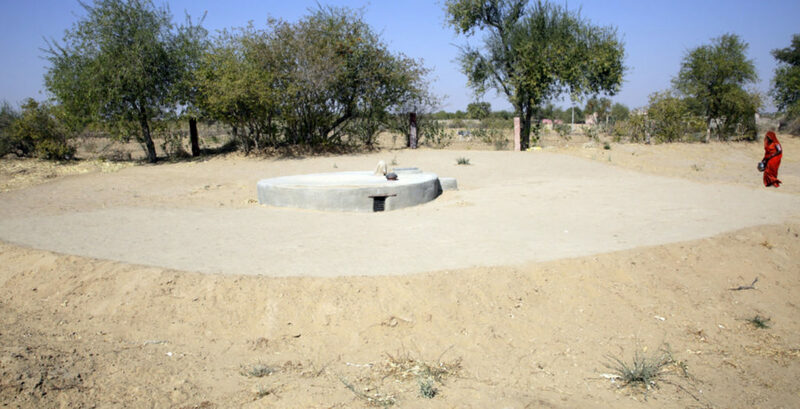 Allocations under MGNREGA can be purposefully utilized in climate-proofing projects such as farm ponds; soil and water management through participatory watershed approaches; plantation and agro-forestry; and many other eco-friendly activities that will adapt and build resilience to climate change. Fortunately, the ICAR; State Agricultural Universities (SAUs) and even the Private Sector have been pursuing their research works to develop new and more tolerant cultivars to multiple (both biotic and abiotic) stresses. 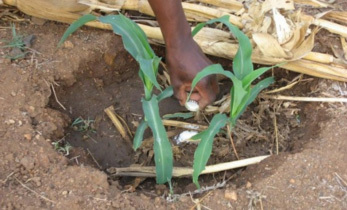 Governments at both central and State levels must enhance funding support for development of technologies and approaches that suit to the local crop and ecology in a complex scenario of climate variability. Simple and affordable insurance products should be properly implemented to create safety net for the farmers, especially the small holders who are often the neglected part of agricultural community. There is also need of knowledge sharing platforms for all stakeholders to ensure wider adaptation and mitigation to the weather variabilities. Priority has to be accorded for upscaling research on emerging areas of climate science to develop technologies that must include pest-surveillance and forewarning systems; simulation modelling and big data analytics, etc. India has already submitted its INDCs (Intended Nationally Determined Contributions) to the UNFCC (as a part of its commitments to Paris Agreement) that inter-alia include adoption of climate friendly practices for a cleaner path of development. Ministry of Agriculture and Farmers’ Welfare has already delineated its intended climate actions in the agricultural sector like increasing water use efficiency; promotion of organic farming; conservation agriculture practices; plantation and agro-forestry, etc. with specific targets to be achieved by 2020. The effects of climate change on the ‘complex and risk prone’ farming systems of India will be disastrous, if ‘climate-wise’ development policies are not implemented with focus and regularity. Similarly, farmers must gain access to the rich scientific knowledge recommended by various research institutions/projects through efficient dissemination of the climate-smart technologies.